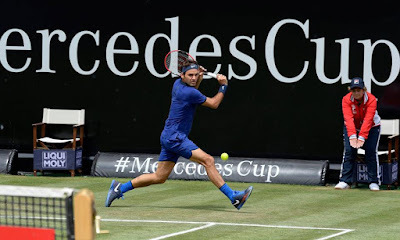 In his first match in a month, Roger Federer overcame a stiff challenge from American teenager Taylor Fritz to reach the Mercedes Cup quarterfinals with a 6-4, 5-7, 6-4 win on Thursday. "It wasn't easy," said Federer. "I thought Fritz had some good moments there. He gained control of the baseline, he had a little bit of an upper-hand at times. He served well and I was a little bit cautious, unsure of how to move and questioning my defence. These are the things I will need to iron out. "I can take a lot of confidence out of this match. I need to improve a few things, but I served big and I was able to handle three sets over two days, and find some energy at the end of the match. I know I have an extra gear. My next goal is to stretch leads - once I get a lead, I need to know that I can protect it then take the next step." 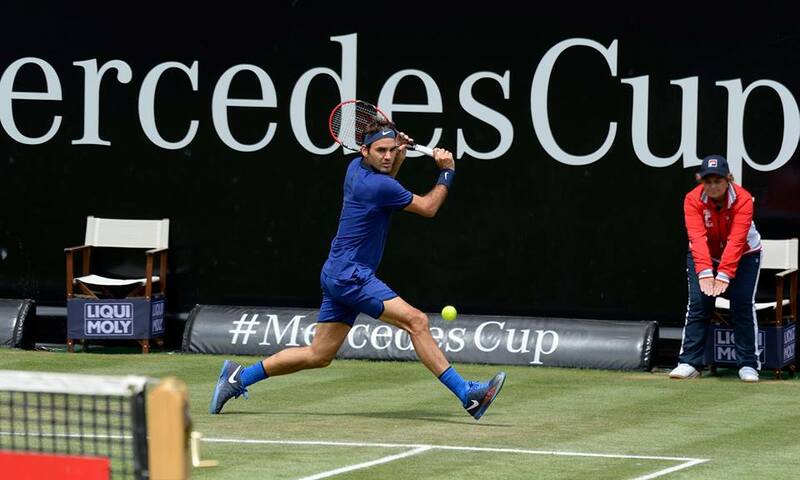 The match resumed on Thursday with Federer leading Fritz 4-3 in the first set, following a rain suspension overnight. Fritz, who had previously played two Top 10 players, converted his fourth set point opportunity in the 12th game of the second set. "It's always disappointing to take a loss, when you've come close and you've definitely had chances in the match," said Fritz. "I played great and if you'd told me before that I would have taken a set off Federer, I would have been happy." Federer, who last played in a third-round Rome loss to Dominic Thiem, then missed the French Open, is building for another run at Wimbledon, where he is a seven-time champion. He has now drawn level with Ivan Lendl on 1,071 victories, for the second-most match wins in the Open Era (since May 1968). Jimmy Connors is the overall leader with 1,256 victories. Federer will play Florian Mayer in the quarter-final.